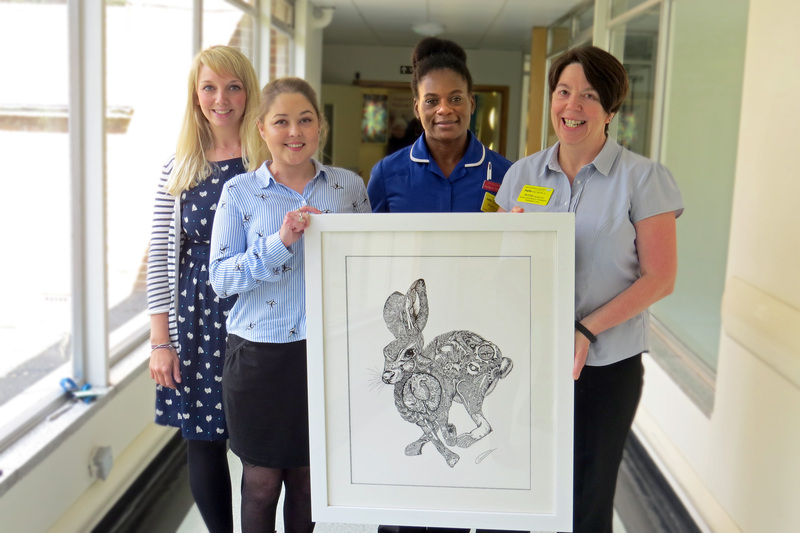 South Wales artist Kimberly Chard who was born with the genetic condition cystic fibrosis, has been highly commended by a panel of art experts and been selected for a leading art exhibition. Kimberly has been convalescing from a life-saving double lung transplant, and was inspired by her illness to continue creating art. The 34 year old who is from Cardiff but now lives in Bargoed, will be exhibiting her illustrative artwork at the UK’s largest artist art fair later this month at the Deepbridge Chester Arts Fair. Kimberly will join 90 other British and international artists showcasing over 2,000 pieces of art on display, including paintings, sculpture, ceramics, photography and mixed media artwork. The Fair will open Friday 17th November with a Charity VIP Preview. Over the weekend, the Fair is open Saturday 18th and Sunday 19th November from 10:30am to 17:00. For tickets, visit www.chesterartsfair.com , or alternatively you can register to enter at the Fair on the day.